The New York Knicks can hang their hats on the fact that they were one of the NBA’s original franchises along with having the bright lights of Broadway in the backdrop of their home that is Madison Square Garden. But even though that the Knicks were one of the NBA’s original franchises, they would spend the better part of their two decades of existence watching the Boston Celtics become a dynasty and rack up titles. However by 1970, the Knicks were able to break through in order to winning their first NBA Championship. The Knickerbockers would win once more in 1973 before a slow decline would see them turn into bottom feeders. By 1985, the Knicks were flirting with losing 60 games before the NBA bailed them out by “gifting” them the first overall pick in the inaugural draft lottery which led to them selecting Patrick Ewing. With Ewing as their centerpiece, the Knicks could never win an NBA Title, but they did become a playoff contender, while giving basketball fans in the Big Apple something to cheer for. However since the Knicks unceremoniously traded Ewing to the Seattle Supersonics in 2000, this team has been hampered by bad decisions, and each time that you think they’re going to turn the corner, they find another way to shatter the hopes of their fan base. The latest installation of “What Were The Knicks Thinking”, came this past Thursday as they would trade All-Star power forward Kristaps Porzingis to the Dallas Mavericks. Along with Porzingis, point guard Trey Burke, swingman Courtney Lee, and small forward Tim Hardaway will join the Mavericks, while the Knicks are receiving a pair of first-round picks, point guard Dennis Smith Jr., and the expiring contracts of center DeAndre Jordan as well as shooting guard Wesley Matthews. The trade sent shock waves around the NBA as just four years ago the Knicks appeared set to make Porzingis their franchise player, but now he has traded in his metrocard for a new life in the Dallas/Ft. Worth Metroplex. Porzingis’ relationship with the Knicks has eroded as he, neither the team’s front office were on the same page as his abrupt departure from New York City has all the makings of team owner James Dolan throwing another one of his infamous temper tantrums. Dolan has owned the Knicks since the mid-90’s and in that time his out of touch style has led this franchise into the Bermuda Triangle of futility. Since 1995, the Knicks have had 14 different head coaches, 9 general managers/team presidents, and a litany of so many bad personnel moves that it’s almost criminal to mention them all. Aside from showing Ewing the door, Dolan was front and center in regards to hiring Isiah Thomas as the Knicks general manager in 2003. And under Thomas’ watch, the Knicks were trading draft picks left and right, giving players such as Jerome James bloated contracts, and being in the news for a sexual harassment case which would cost Dolan more than $10 million. Dolan would replace Thomas with Donnie Walsh in 2008 after he sought the assistance of former NBA commissioner David Stern to turn things around for his franchise. Walsh would free the Knicks from cap purgatory, but his downfall would come in 2010 when New York failed to sign LeBron James in free agency in 2010 which led to an impulsive Dolan trumping Walsh’s power in 2011 in order to acquire small forward Carmelo Anthony from the Denver Nuggets which would see New York part with five players and multiple draft picks. Walsh had seen enough, and rightfully so he packed up in order to find higher ground. After winning 11 NBA Titles as a head coach in the league, Phil Jackson got his chance to run the Knicks front office in 2014. And whereas Jackson didn’t walk through the door at Madison Square Garden with Michael Jordan or Kobe Bryant, his stubbornness to make the triangle offense work failed miserably which resulted in Dolan showing him the door in 2017. But Jackson’s greatest claim to fame as Knicks team president was drafting Porzingis in 2015. Prior to coming to the NBA, the 7’3″ Porzingis had been compared to Mavericks power forward Dirk Nowitzki for his perimeter game. In each of Porzingis’ first three years with the Knicks, his productivity increased which included averaging 22.7 points per game last season en route to his first All-Star Game selection. However Porzingis would suffer a torn ACL last season that has sidelined him ever since, but the thought around the Knicks organization was that he’d be healthy for next season which would be an attractive piece for the Knicks to lure some top free agents to New York City this summer. But now that this notion is gone, what will the Knicks do? The rumors are that the Knicks are poised to making a big splash in free agency this summer due to the fact that they will have more than $70 million in free agency. The top free agents this summer will be Golden State Warriors small forward Kevin Durant, Boston Celtics point guard Kyrie Irving, and Toronto Raptors small forward Kawhi Leonard, while New York might also try to acquire power forward Anthony Davis from the New Orleans Pelicans now that he has let their front office know that he no longer wants to be there. The Knicks also currently have the worst record in the NBA as they are hopeful to land the first overall pick in the upcoming NBA Draft which would mean that they’ll more than likely select Duke Blue Devils power forward Zion Williamson, but how realistic is all of this? If Durant were to leave Golden State, it would be for a team that could not only offer him a big contract, but also a franchise that would give him the opportunity to win which is something that the Knicks don’t have. Regardless if the Knicks fail to get Durant, they have more than a puncher’s chance to sign Irving, but bringing him to MSG has all the making off another bad move for this franchise as he has yet to play a full season in the NBA, while he is also in possession of a bum knee. The chances of Leonard coming to New York City are slim to none as his inability to the media over the years is not going to fly in the media capitol of the world. The Chicago Bulls, Phoenix Suns, and Cleveland Cavaliers are all in possession of crappy records like the Knicks are which does not make it a cinch for New York to get the first pick. And if the Knicks fail to get the first overall pick, or sign Durant, what is their backup plan? Some fans as well as members of the media have faith in the latest move that the Knicks made along with their potential to make a splash in free agency this summer, but nobody should get ahead of themselves as it is time for them to realize which franchise that we’re talking about. 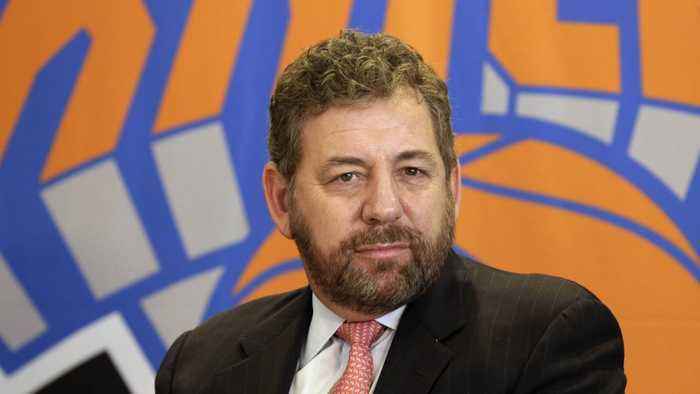 Dolan is still the owner of the Knicks, and this is the same man who had Charles Oakley physically removed from Madison Square Garden a few years ago, never once gave Ewing a look to be an assistant coach, kept Thomas in the fold in spite of his checkered past, while also making this franchise one of the laughing stocks of the NBA. And because of Dolan’s less than stellar resume, this summer has all the making of another letdown for a Knicks fan base that has become glutteons for punishment. Nobody charges more money for their tickets in the NBA than the Knicks, but yet fans still flock to Madison Square Garden to watch a pathetic team take the floor as being at the hallowed halls of MSG is a status symbol. The ineptitude of Dolan is legendary, but yet and still fans of the Knicks still come out to support this team which is something that I have a hard time wrapping my head around. So now the focus will be on the Knicks and what they do this summer, but I have bad news for anyone who expects this franchise that is run by Dolan to actually do the right thing. And that is the Knicks will go out their way to disappoint their fans and another chapter to their ineptitude.